Each year, Admin Slayer’s team likes to get together for a real, live, in-person retreat. We started doing this in the summer of 2016 and found that it made such a massive difference to our internal community that we wanted to keep it up, every single year. 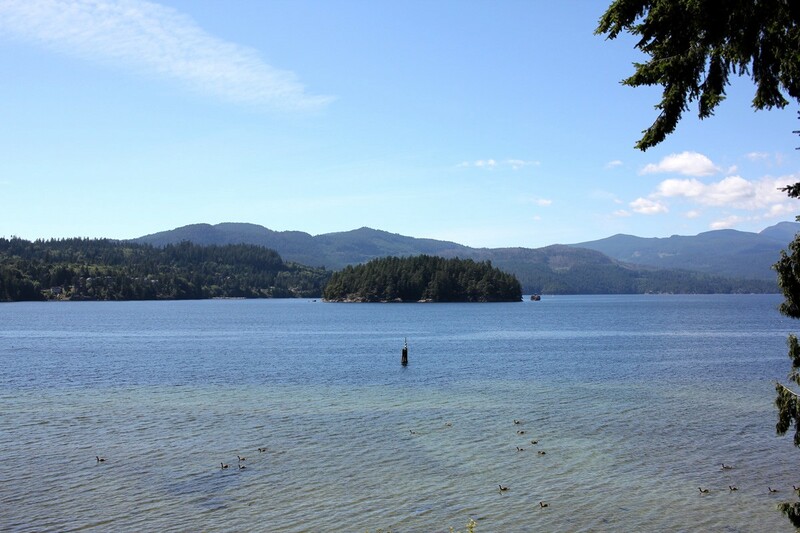 This year, we made our retreat a weekend getaway on the beautiful Sunshine Coast, in the small town of Sechelt, BC. We just happened to know someone who would lend us their bayside cottage for the weekend, so we loaded up our gear, and headed out to the sea. As you may know, Slayers hail from all over the country. Our executive team had started planning this year’s retreat with our distant slayers in mind, ensuring that we had the technological capabilities to have every team member join us, no matter where they happened to be — and then they surprised us. Slayers came in from across the country. They drove down in teams from BC’s Okanagan and Metro Vancouver area. They flew in from the prairies, Ontario, and even the Atlantic coast. We were, quite frankly, blown away. Altogether, 12 of our team members were there in person, and 1 joined us virtually. We booked the cottage from Friday night through Sunday morning and, being the scheduling demons that we are, planned beds and meals and shower schedules with such exacting details that nothing was left to chance. You know, we might not be bad at event planning! On Friday night, we enjoyed a roast dinner on the patio overlooking gorgeous Porpoise Bay, popped a couple bottles of wine and sparkling water, and settled in to get to know each other. We’re pretty sure the neighbours across the bay were able to hear both the music and the laughter as the sun went down behind the mountains. Saturday morning, a few of us went for hikes, and a few more of us visited the local Farmers’ Market. Our tech team organized our video and audio, and set up our work area. Then we came back to the cottage for a little lunch, and got down to it in the sunshine for the next three hours. Our fabulous, dedicated facilitator, Pam Schmidt, joined us again for the third year in a row. Obviously, we simply cannot do this without her. We started with a little exercise called the Six Word Story, where we came up with six words that would describe how each of us would make the next 12 months our best ever. This was followed by a leadership update from our CEO, including the story of how we started, why the work we do is so meaningful to us and the businesses we work with, and a recap of the past 12 months. We moved on to the vision for Admin Slayer (hint: it’s not small), and how we would work together to create it. From there, we joined forces to create a summary of what we would do in the year ahead to make Admin Slayer the company it’s going to be, and ensure we retain our culture of quality and collaboration. We also updated our “Simple Rules” from the first version in 2016, and created individual goals that incorporated our individual values and the big picture goals that will drive Admin Slayer in 2018/2019. We closed the session with a talk from Dr. Seema Kanwal about stress management, which was wildly useful for a team of professional administrators who manage multiple businesses and family members each and every day. We spent the rest of the evening barbecuing, chatting, and enjoying the wonderful view. Quite a few of us made it into the wee hours, watching the stars.